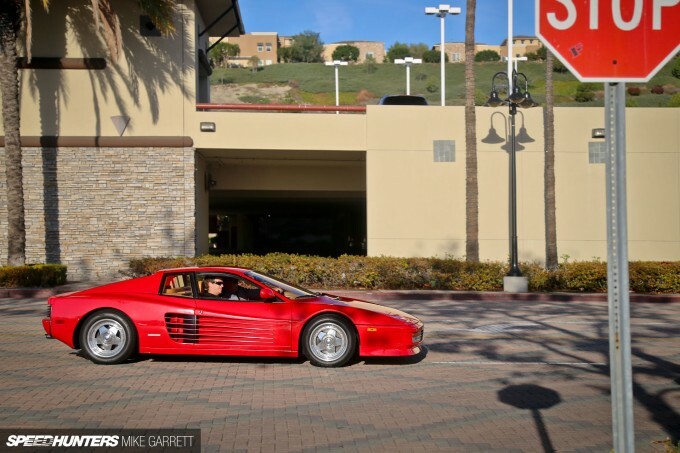 Despite the traffic, the insane cost of real estate and the ridiculous emissions laws, there’s still no place like Southern California when it comes to being a car lover. Any weekend, no matter the season there’s something cool to see, and this past weekend was no different. The main reason I took a road trip down to SoCal was to take a look at the renovated and reopened Petersen Auto Museum (coverage coming shortly), but before that I took a little detour down to Orange County for some Cars & Coffee action. 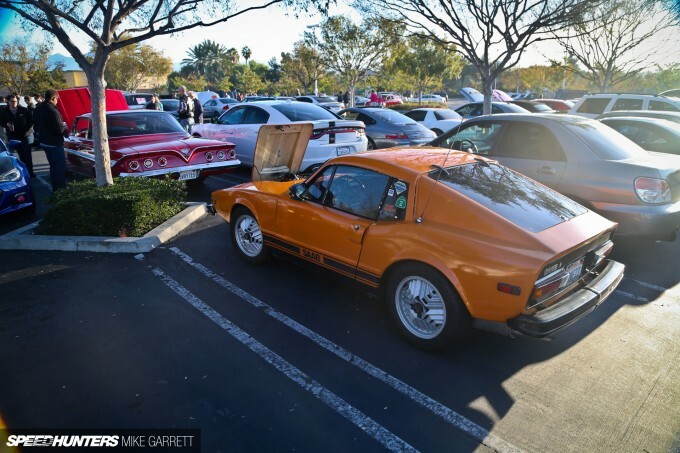 It’s been exactly one year since the original Cars & Coffee gathering in Irvine was shut down and since then there have been a couple of different events which have popped up in its place. 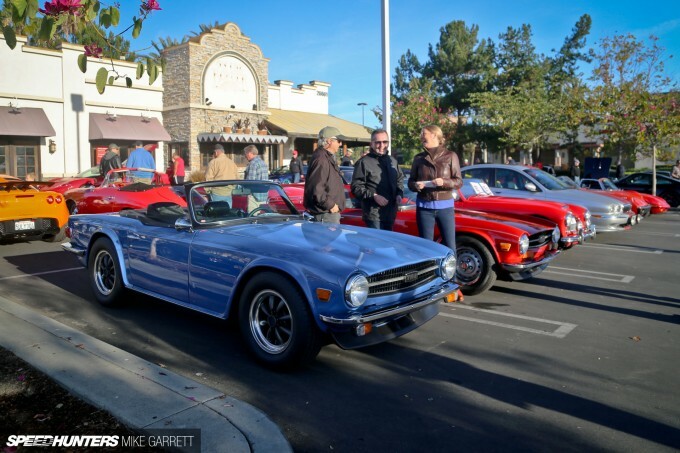 Back in September I checked out one of the new C&C events at the Orange County Fairgrounds in Costa Mesa, but this time around I headed even further south to another Saturday morning meet in the city of Aliso Viejo. 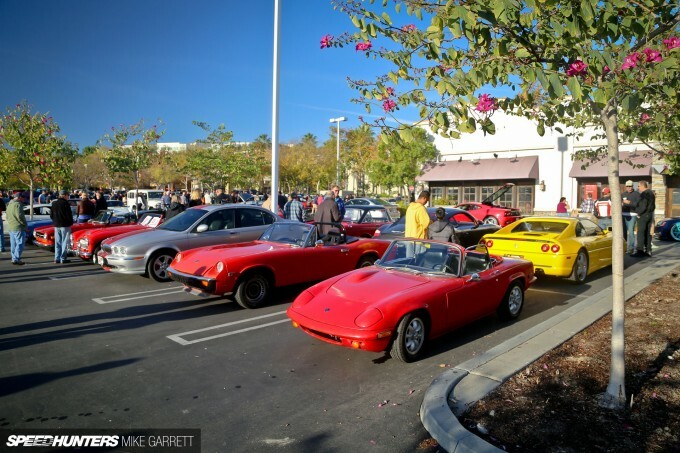 Despite the fact that Aliso Viejo is located relatively deep in the suburbs of southern Orange County, the turnout for last weekend’s meet was impressive. Although, I guess that’s not too surprising considering the weather. This is why Southern California is heaven for car people. 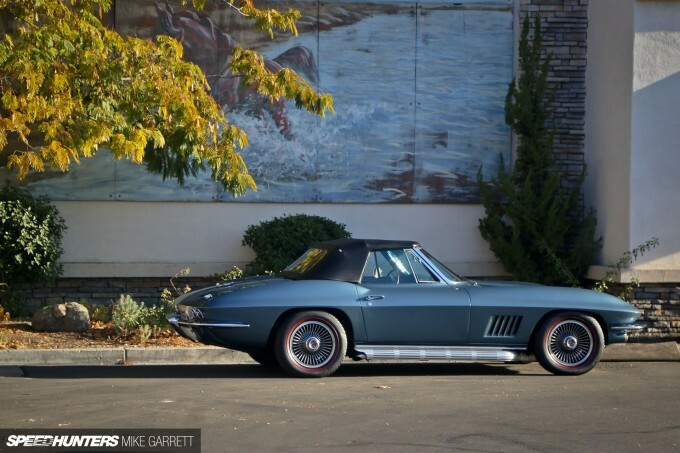 It’s December and all you need is a light sweater to enjoy the automotive hobby as if it were spring or summer. 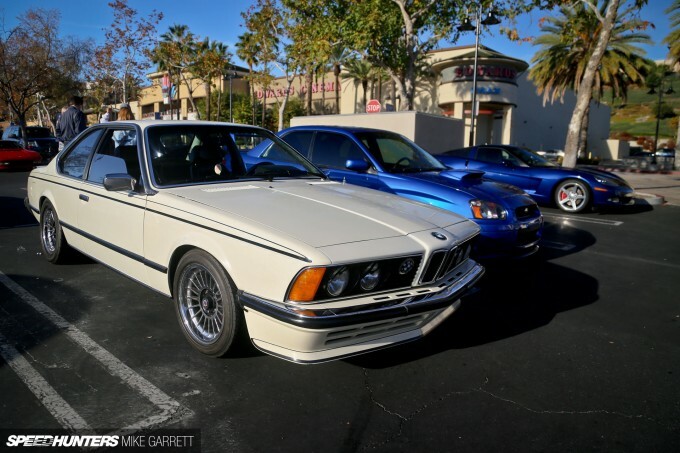 So with that being said, let’s take a look at some the machinery the came out to last weekend’s Cars & Coffee in Aliso Viejo. As far as outright attendance numbers go, this one still doesn’t compare to the original C&C in Irvine, and honestly I don’t think anything ever will. But with that in mind, it feels like Aliso Viejo does a great job of capturing the original’s spirit. 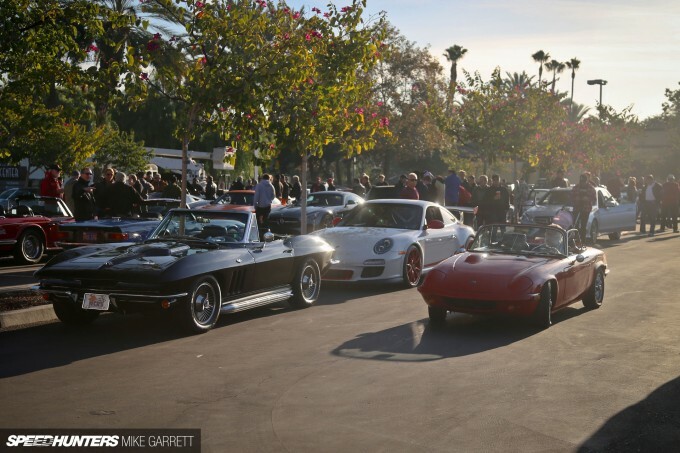 The turnout included the same great mix of modern performance cars, tuner vehicles, muscle machines, classics and more. It’s the sort of thing that makes it more fun to attend C&C than it does a genre-specific car show. And then turn around and be greeted by something completely different, like an early ’80s Toyota Corolla station wagon. 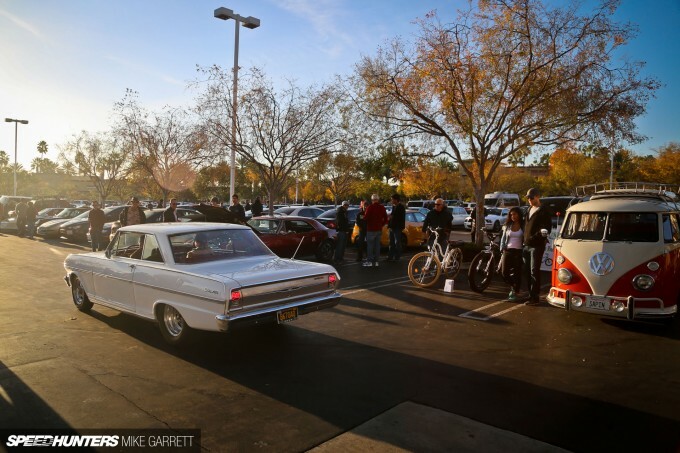 Muscle cars have always had a strong presence at Cars & Coffee events, and this one did not disappoint. 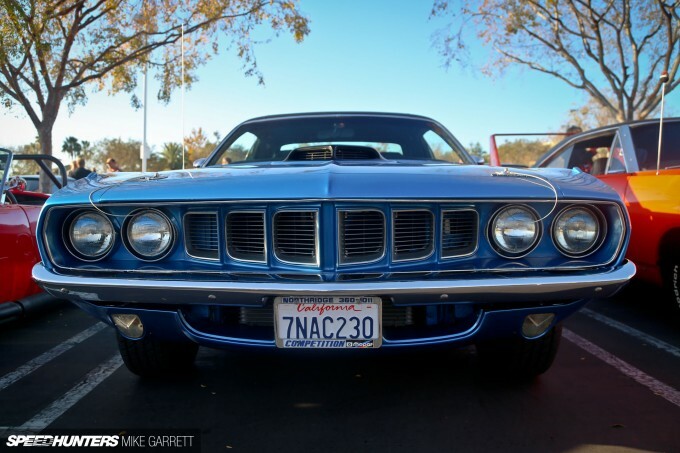 Here we have the iconic face of the ’71 Hemi ‘Cuda. 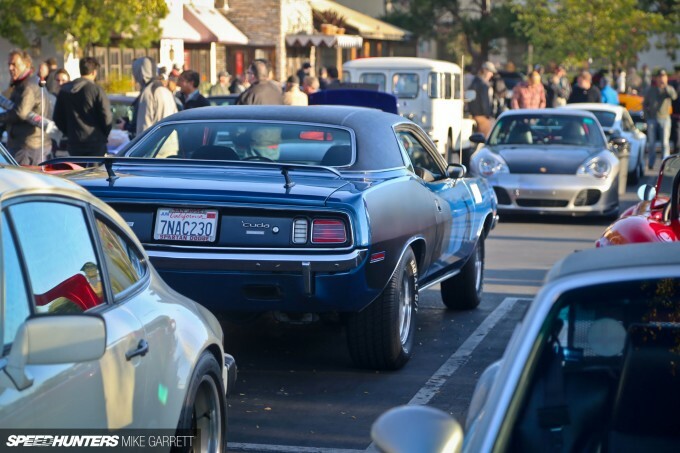 And parked directly next to the ‘Cuda, the unmistakable form of a 1970 Plymouth Superbird. 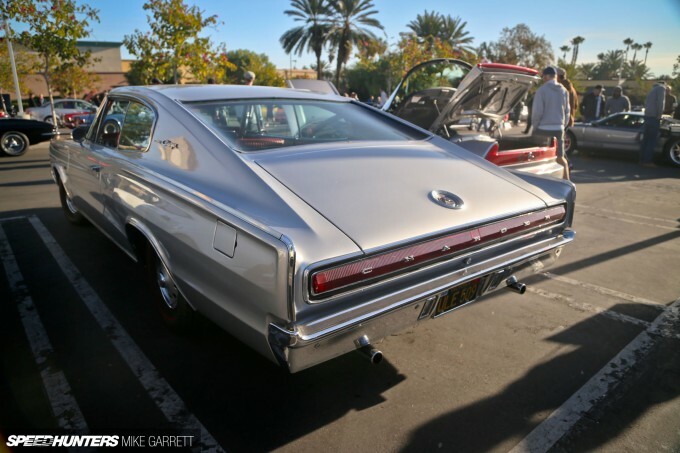 Mopar fans should also dig the fastback shape of this first generation Charger. Boy it looks great in silver. 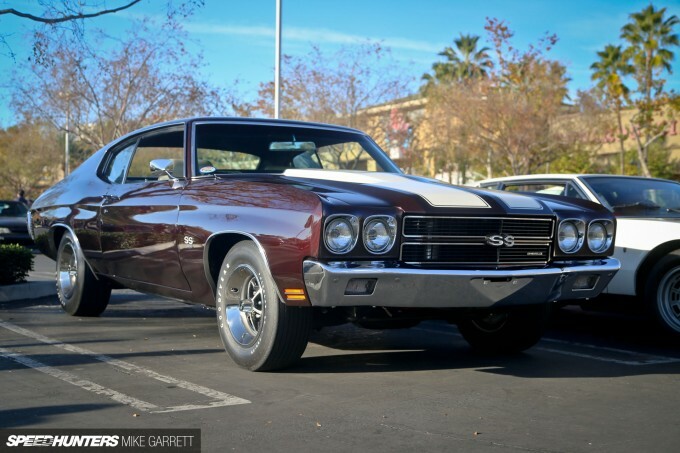 If you pledge allegiance to the bowtie, this ’70 SS396 Chevelle will probably get you going. And yes it was a 4-speed. C&C events will always have their share of Corvettes, and while I’m not terribly interested in seeing a whole row of identical late-model ‘Vettes I’ll make an exception for the radical C7 Z06. Classic ‘Vettes get a thumbs-up too – especially when they’re a side-piped C2 Roadster. My favorite Italian cars to see at an event like C&C usually aren’t the Ferraris or Lambos, they’re the older, more obscure stuff like vintage Alfa Romeos and Fiats. 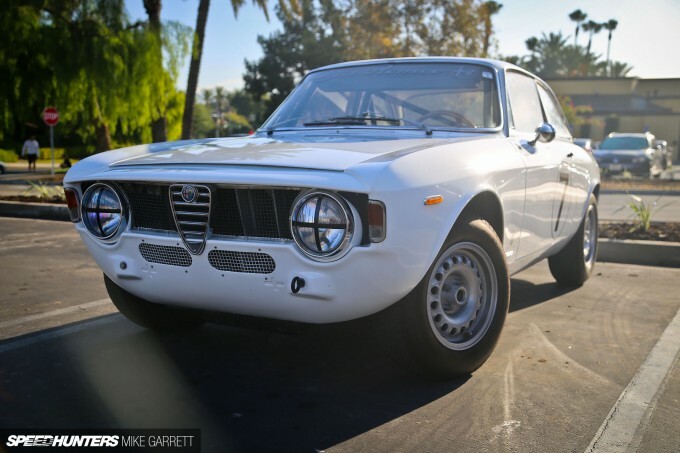 And fortunately on this particular day there were several local Alfa fanatics who brought their machines out for some Saturday morning fun. Porsche? Yeah, there were a few of those of course, including the familiar profile of BBI Autosport’s Project Nasty 911. You can always count on seeing some really different stuff too, like this Saab Sonnet and its unusual V4 engine. 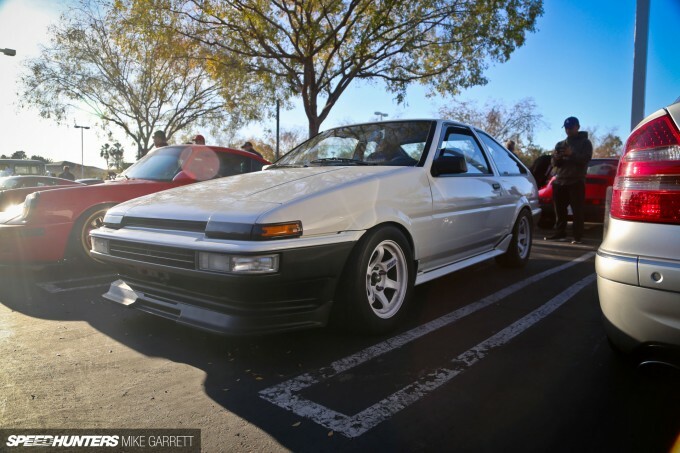 Given SoCal’s status as hotspot for Japanese imports, you can also count on many great cars from Japan at C&C. 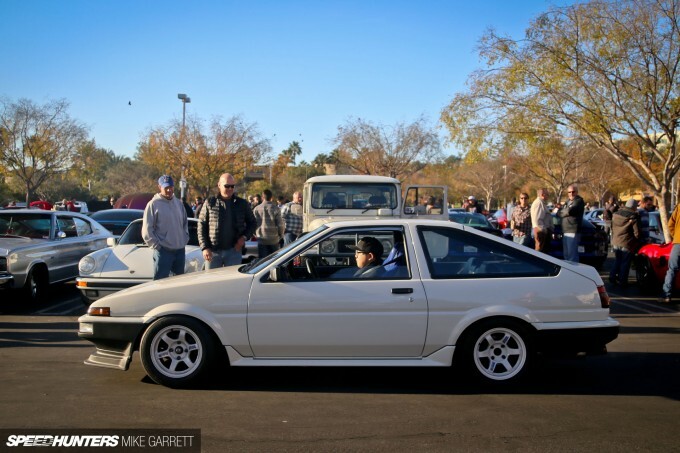 Here we’ve got an AE86 looking perfect on 14-inch RAYS Volk Racing TE37s. Or how about a Datsun 240Z that looked completely stock with the exception of an unusual vinyl top conversion, which I’m guessing was undertaken a few decades ago. There’s never a bad time for a classic Land Cruiser is there? 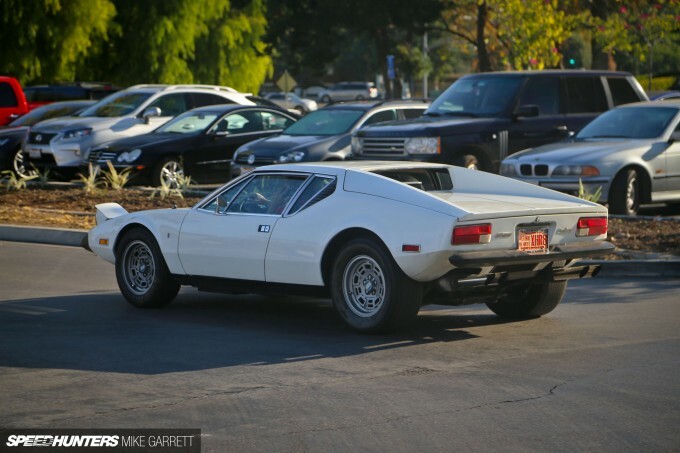 This thing was grabbing just as much attention as the Italian exotics. 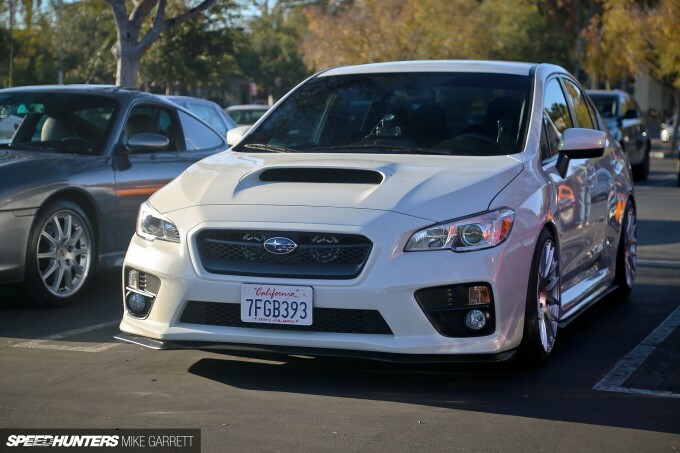 Late model cars are also welcome, and it’s hard to argue with the mods this WRX owner has performed on their car. Subtle and to the point. Slightly less subtle was this wide-body Supra, which immediately brought to mind the crazy import show cars of the early 2000s. It actually looks like a toy. 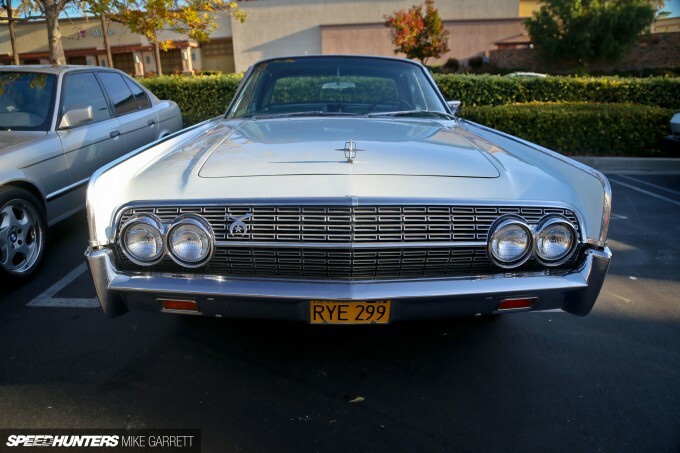 With something like a fully-restored Lincoln Continental from the glory days of the ’60s. If you don’t find something to enjoy here, you might have a problem. 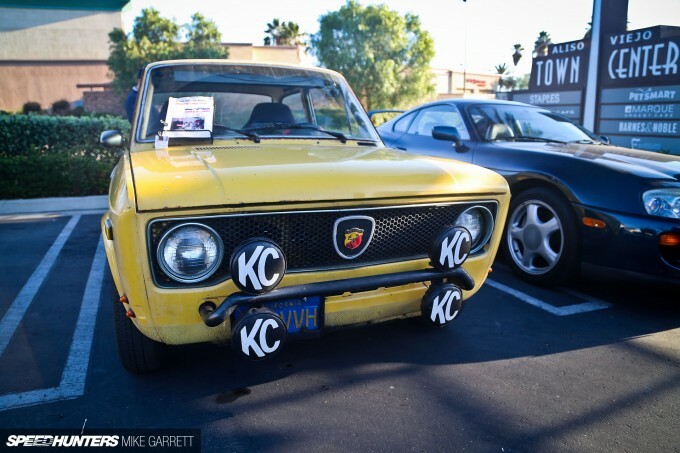 I still can’t help but get bummed-out every time I think about how the legendary Irvine Cars & Coffee is no more. I don’t think I’ll ever really get over it actually. But with the December sun shining and a parking lot full of interesting cars to see, this really felt like the next best thing. As long as there are people who love cars and don’t mind getting up early on a Saturday morning, there will always be a Cars & Coffee. In whatever form it takes, long may it live. I was so hoping to see my MR2 grace the pages of Speedhunters!! Great post nonetheless. Seeing the c7 parked in the middle of two spots, at a car show where people are obviously cautious and respectful.... it makes me sick. What a douche. I quite like the little yellow abarth in the extra photo's, there just something about it that screams fun! Meanwhile in Canada, freezing rain that hardens quickly over every surface, considered a good day in December because we're not buried under four feet of snow. On a completely unrelated note; Mike, do you want a roommate/equipment caddy for half the year? But in all seriousness, I am glad to live in the age where I can live vicariously through the lens around the world. Loving the diversity at these Cars and Coffee events. How inconsiderate of that white truck owner to block the view of the GTI. 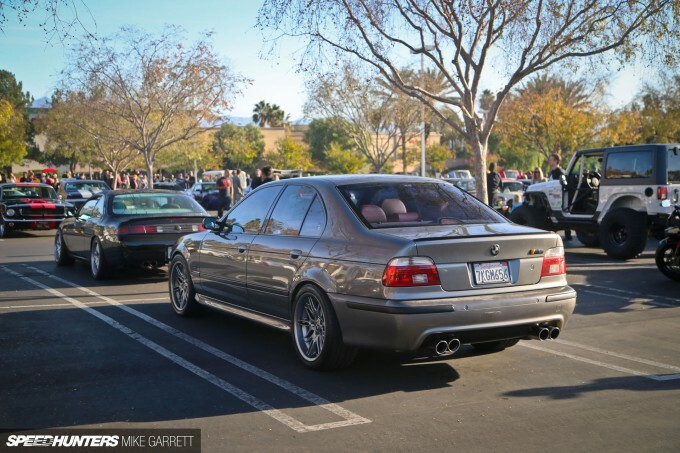 I've major levels of want for that E39 M5 in the bonus section. Major. Can someone tell me what wheels are on that supra please? They're gorgeous! Aaaaah the wonderfully strange Saab Sonnet... The Sonnett I came with a 3cyl, 2 stroke engine and was only sold as a racer/hill climber... Truly a holy grail of a car to find IRL but a hell of a looker from the hay day of club racing. Such a great morning with a good turn out, I'd love to operate one of these somewhere on the M25 Circular but finding a place that will let a bunch of British car fans to defend once a month is somewhat difficult (guess those 90's Cruses put a nail in that coffin). @generik Thought the same exact thing. Only a Z06 owner would be such a prick. Look at that hot louvre action down the side! I'm loving the japanese cars in this post! 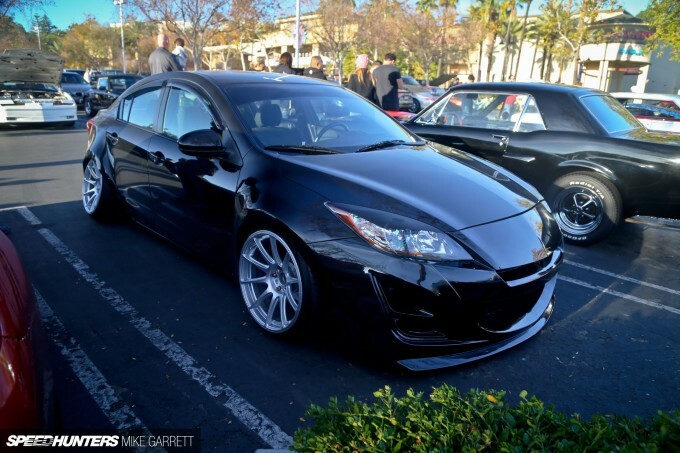 That Mazda 3 is beautiful! @generik Wow. Hater Alert! I hope you don't lose any sleep over that guy's parking. You guys are very quick to judge. It's amazing how you're able to tell someone's character with so little. 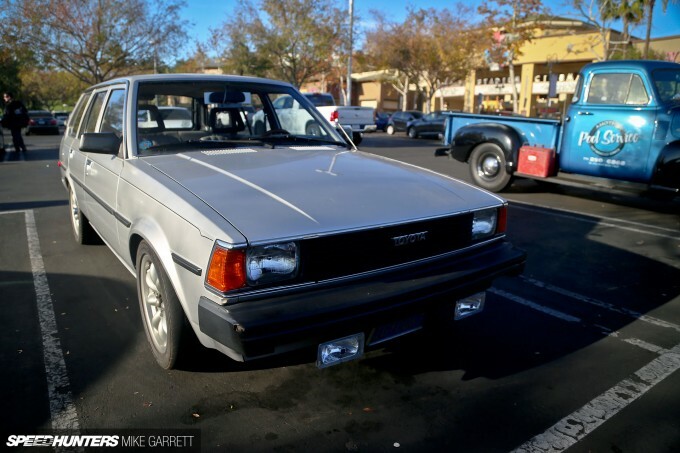 Have you ever spent $100,000 on a car, or anything? Maybe the driver borrowed it and didn't want to take any chances. Maybe this, maybe that...blah blah blah. Maybe try growing up. Wow I live right there in Aliso Viejo and I forgot that it was that on Sunday. Dang I thought it was next Sunday! Anyway, Mike, keep up the good work! You can see my car! 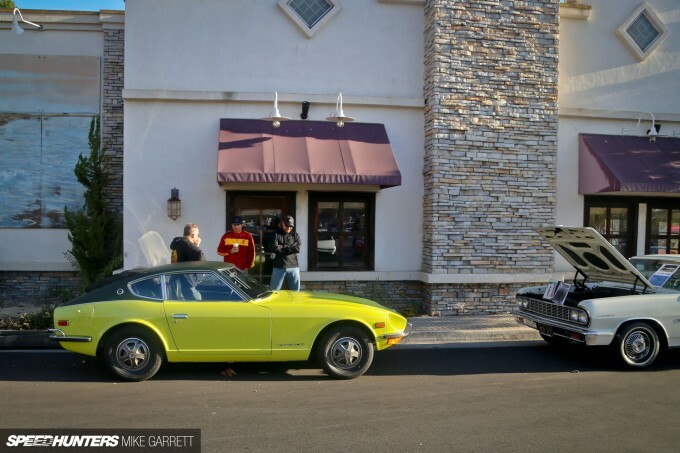 I'm the Mercedes next to the AE86 and the 911! Ok I'm officially obsessed by California, what an amazing place, with such an amazing car culture. I don't even care about the laws, or the super high real estate prices, Italy its way worst on both of them!! And the craziest thing is that probably a lot of people who live in California would love to visit - live in Tuscany. I hate being human, I always need what I don't have. @generik Seriously. So many older cars that stand to lose so much more if damaged, but the new, easy to fix, and very replaceable car has to double park. That C7 Corvette parked like a d*ck, in an already crowded parking lot, as most of the owners typically do. 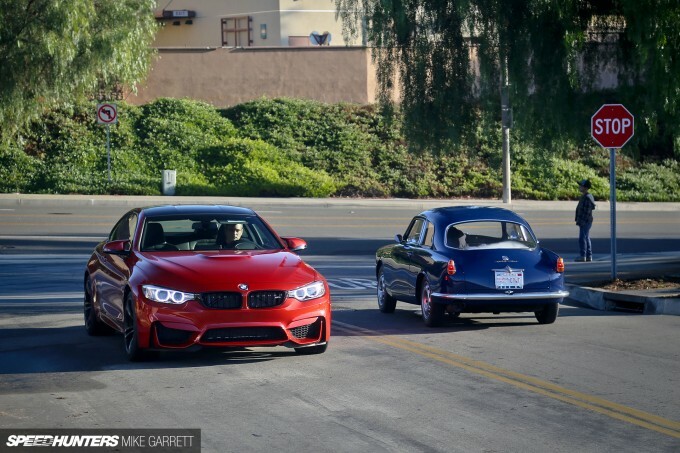 The opening shot tells a story of the ages.. Much like their human counterparts, cars have grown considerably in size over the years. 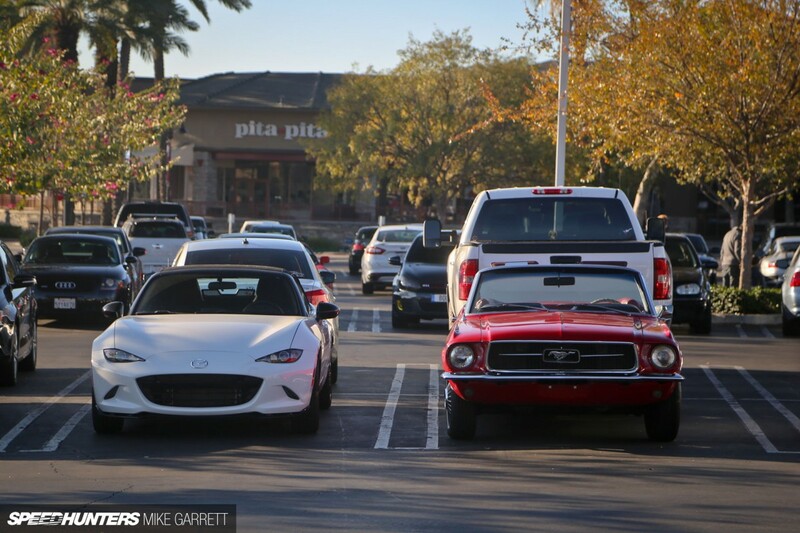 The Miata and Mustang don't look too different in size. I'm waiting for someone to go nuts on a first gen Charger. Trepanier are you reading this? Andrew Newman It's Saturday mornings! hcram39 gdane Yes it is marketed here as "Mazda3" same with the 5 and 6. I always found that strange. _PEITRUS_ Mustangs/Vettes...It's like a 40-point intelligence atrophy when you purchase one. You guys taking the day off lol? 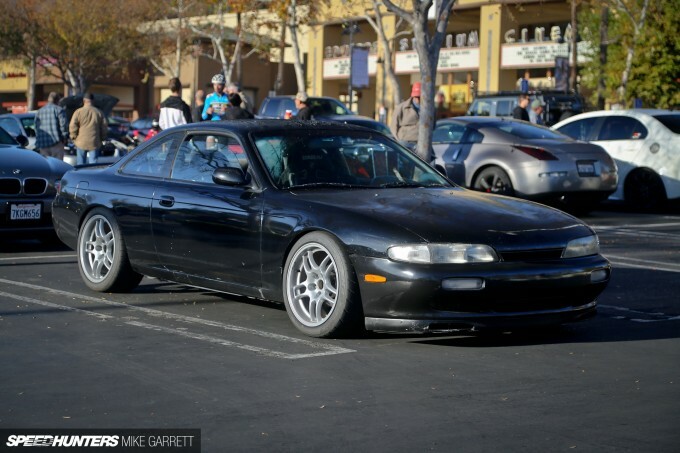 b_deam Yeah no new posts in two days Speedhunters what gives? D1RGE EXE _PEITRUS_ Both the new Mustang and Corvette are awesome in their own respective ways. Posting a negative comment on a car enthusiast website about Corvettes/Mustangs is so cliché. how do the emissions laws work in the usa / CA? i find it lol worthy that relatively new EFI "import" cars cant pass but muscle cars made in the 60s with not a single care was given to emissions are allowed to roll about still. takahashitothetop D1RGE EXE _PEITRUS_ Nobody said anything negative about the cars. hypodermic Once cars reach a certain age, there are few enough of them on the road that they don't require emissions, just noise restrictions. I think it's pre-1975 anything goes. We get smog tested each year or every other year, and depends on the car they may send you to a STAR smog which is a stricter test. My wife's Spectra gets smogged every other year and my Prelude had to get STAR smogged every damn year. It's getting real hard to modify a car's engine anymore in California without running foul of emissions and going with illegal smog, out of state registration, or nothing. 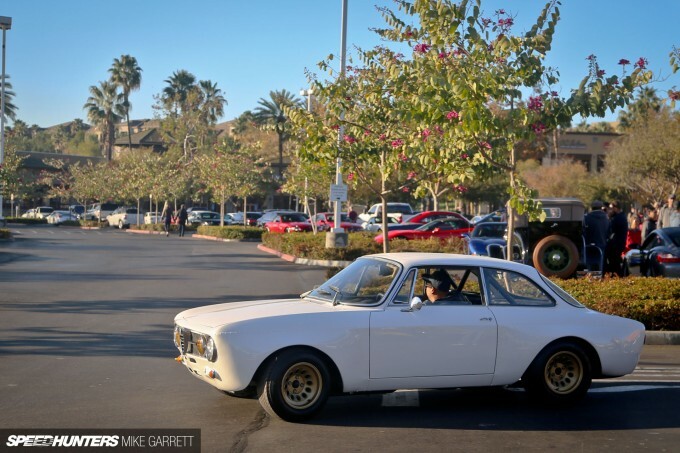 Cars and Coffee Aliso Vejio is the best one going right now in the OC... Hopefully it will get to be as big as the old show at the Irvine Specturm - Ford/Mazda building. The mayor of the town welcomes the weekly event. It's a great one to go to if you can make it! !